There’s no better time to set goals than at the beginning of the year or towards the end of one in preparation for the next one. But what happens when that New Year high wanes? You might find yourself stuck in the middle of the year. Or simply demotivated during a dry season. How do you keep going to stick it through to the end? Many entrepreneurs face this challenge at the middle point of the year. The holiday buzz and promotional openings from the start of the year and the end of the last one, quickly fade. What’s more, many businesses or corporate teams may find themselves stuck in a rut after having realized the goals they set for their group or enterprise at the beginning of the year have suddenly become daunting or are not too practical to reach. What’s the best thing to do then? Well, no one said pulling back and regrouping midway through the year was wrong. There are some solid tips that can help when re-assessing your company goals and getting yourself and your team re-motivated, however. Here are some we’ve gathered that should be useful to both new and veteran entrepreneurs. Taking a look at the goals you set last year, focus on the biggest and most important ones. These will likely be the ones that have been stirring your business for the past six months or so; or is the main thrust of all your other smaller aims. It might have been a monetary quota or perhaps securing more clients. Whatever the thrust, you should be able to see a theme in the work that you are doing that is most likely related to or even adapted from your biggest goals. Upon determining your most important and biggest goals, take them and break them down. American entrepreneur and podcaster Pat Flynn working backward from your big goal to create smaller time-based goals along the way. Keep in mind, a single action that you can take to meet that goal. Aside from realizing which big goals you haven’t accomplished or completed, also take a look at your list of goals to see which ones you have completed. What key-point achievements did you set that you can now cross off the list? These may be part of the big goals we mentioned in the previous tip or even smaller or unrelated goals. It can be single, stand-alone items like re-arranging your office space or finding your blue-chip clients to help you achieve a quota. If you are on track with these things, take a moment to celebrate. Then step back and see how you can build on what you’ve already built with these goals. Should re-arranging or re-decorating your office be a yearly thing? What other ways can you make your workspace a more conducive work environment? How were you able to land your blue-chip clients? Re-assessing and backtracking what you did right can help you and your team set proper, attainable future company goals as well as help you perfect a proven and tested strategy. But if there are key-point achievements you haven’t met. It may also be time to re-assess your strategy. What are you doing right now to achieve these goals and is it really working or is your strategy taking too much time? It might be time to try a different angle or plan of attack. This way, you won’t be changing your goals mid-way through the year. Instead, you’ll be able to work on getting those original goals accomplished while getting re-motivated. Change affects everyone. Whether you went through a personal change since you set your goals for the year or there were some shake-ups in your industry, change affects all aspects of our lives, including our work. Reviewing these changes can help give you a proper perspective when it comes to reviewing your biggest goals and your on-track accomplishments. Industry changes can be a big factor in how your work gets accomplished. What with Singapore’s ever-growing startup ecosystem, you might see some factors that affect your sphere of work positively or negatively. If these changes affect your work negatively it may be a good enough reason to change your strategy in accomplishing certain goals. On the other hand, changes in policies and other industry updates may mean positive things for your business. Perhaps there is an opportunity for your business to grow because of how the economy shifted over the last month. Take advantage of these windows of opportunity before the balance shifts. Company goals are not meant to hinder you or your co-workers, but to spur you on. Goals should not waste your time. In re-assessing your goals, take a look at the systems and the habits you or your team is forming. Do they take up unnecessary time? If so, how can you streamline your work? Bear in mind that different people work differently. It might help to reassign tasks especially if you look at the strengths of each one in relation to your long term and short term goals. Aristotle once said, “We are what we repeatedly do. Excellence then, is not an act, but a habit.” Habits are extremely important in accomplishing goals. However, habits may also work against you. Look at yours and your team’s habits. Which of these habits support the goals you set and which don’t? Try to break the taxing habits and build new goal-supporting habits. Accountability is a valuable resource to goal completion. In his book, The Accountability Revolution, Mark Samuel says “Accountability means people can count on one another to keep performance commitments and communication agreements.” Accountability can come from anywhere but a good idea is connecting with others with whom you share your goals with. This can be your work team or even a higher-up or a business partner. Someone who will care that the goals you set be accomplished and possibly even help you get them done. Some entrepreneurs use mastermind groups or seek out mentors. 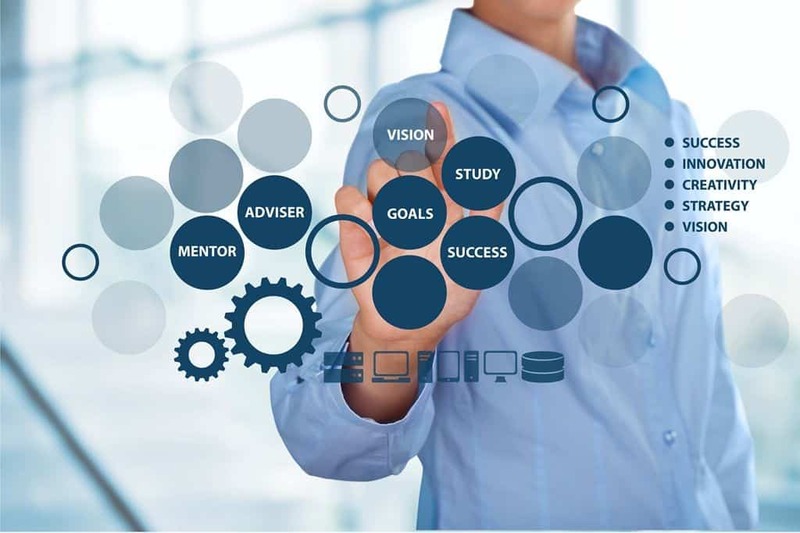 If you think you really need a mentor or a mastermind group, Singapore has several programs for SMEs that can provide you with the help you need. But if you want to keep it low-key and just check your goals with your team, you can do that as well. The important thing is that your goals are not ignored and you continue to move towards getting them accomplished even when you’re only half-way through the year. Is setting up a company in Singapore one of your goals? Let us assist you! We offer reliable, cost-effective Singapore company formation services. Get in touch for a free consultation!